Large, distinctive and nice First Holy communion tiara. It is made of rhinestones crystals forming beautiful shapes. 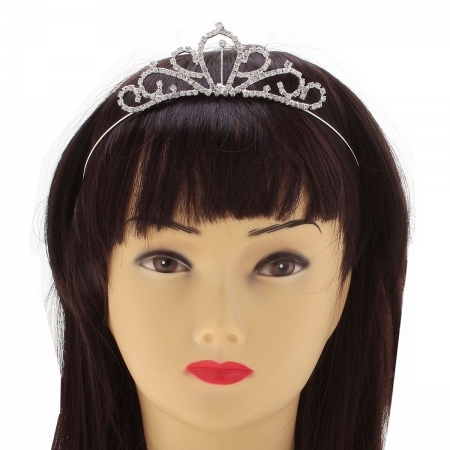 The tiara is suitable for a 6 years to 12 years girl.